Ted Ritter has worked and travelled extensively throughout North America, Europe and Asia. He is the Principal of LMI360, a company that solely supports organizations that support the Built Environment, and Co-Founder of DrawAlert, a technology solution for improving results on Construction Projects. His is the current Global Chair of the IFMA Information Technology Community, the Vice Chair of the IFMA America’s Advisory Board and a Past President of the Phoenix Chapter. He continues to support the Chapter’s Annual Charity Golf Event which provides funding for the FM Advanced Degree Programs at ASU and the IFMA Foundation. He is also the co-founder of the Facility Managers Peer Group which has a global following of over 3,600 on LinkedIn. 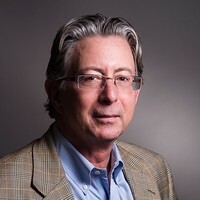 He has supported client projects with a wide range needs including those of: IBM, American Express, Bechtel, Roche, Motorola, Boeing, Mandalay Resort Group/MGM, Multiple Universities, Distributed Retailers, and a wide range of Government Projects. He is a co-author of “The Facility Manager’s Guide to Information Technology”, author of multiple articles and has contributed to over 100 presentations on Best Practices in regard to the use of FM Technology, Sustainability and Brand Management.